Congress legalized industrial hemp in December. With it, they also legalized hemp-derived CBD, short for cannabidiol, a cannabis compound that supposedly delivers the calming effects of marijuana without the high from THC. Last year, retail sales of CBD consumer products in the U.S. were estimated at between $600 million and $2 billion, according to investment research firm Cowen. The bank conservatively forecasts sales to reach $16 billion by 2025, with health and wellness products leading the way and food, beverage, beauty and vapor to also play a role. The current supply chain — from plants, to extraction, to labs — is riddled with issues. And the nascent industry is trying to work through the kinks at the same time demand is ramping up, leaving producers frustrated and consumers stuck trying to sift good products from bad ones. Decades of modern farming techniques have tamed staple crops like corn and wheat. Farmers know what to expect when they plant these crops and can follow a pretty straightforward set of guidelines when they grow them. With hemp for CBD, not so much. People have been growing hemp illegally for years. Farmers have kept their operations quiet and developed their own techniques that are all a little different, said Christian Cypher, a senior vice president at Pyxus International who is leading the agriculture company’s cannabis work. Most hemp farmers are growing the plant like a tomato, a process that’s expensive and intensive, said David Williams, an agronomist at the University of Kentucky who studies hemp. This model works for marijuana because you want the flower to look and smell nice. For hemp that will be used to extract CBD, this system is incredibly expensive and unnecessary since you only care about what’s inside the flower, Williams said. “If the molecule is of interest and becomes broadly distributed, it will need to be far more efficient than what we have today,” he said. Industrial hemp produces such small amounts of CBD that growing it and harvesting it to extract the molecule is incredibly expensive. One Canadian certified industrial hemp strain produced an average of 0.6 percent CBD and 0.03 percent THC, according to a study Weiblen conducted. Arcadia Biosciences, a company that has bred wheat to be more fibrous, recently entered the cannabis space with the aim of growing hemp that produces more CBD and no or reliably low THC. Federal law says CBD is legal so long as it contains less than 0.3 percent THC. “We think that’s a significant opportunity,” said Matt Plavan, chief financial officer of Arcadia and president of the new cannabis-focused unit, Arcadia Specialty Genomics. Farmers won’t find out how much THC their plants produce until they’re harvested, dried and the CBD is extracted. During this process, the CBD becomes concentrated and the THC gets dragged along with it, Weiblen said, possibly to the point where the amount of THC exceeds the legal limit. 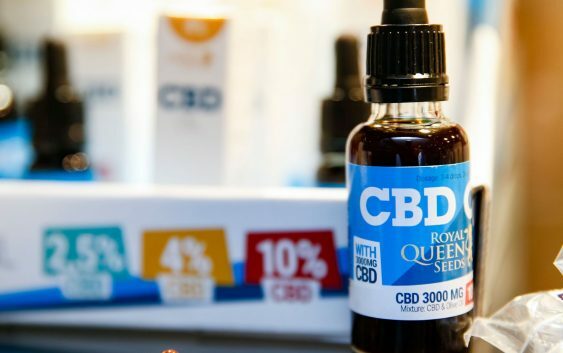 With CBD coming into vogue, some are latching onto the trend and cutting corners along the way. Numerous studies, including from federal regulators, have found a slew of products don’t contain the amount of CBD they say they do. There aren’t any federal laws requiring companies to test CBD, whether it goes into beauty or food products. Some farmers or manufacturers send their extracts in anyway, and they’re learning that lab tests are working through a similar learning curve as the rest of the supply chain. Chris Padulo, a farmer in Vermont who started growing hemp last year, sent samples to four different labs and got “vastly different results” from each. One lab said the plant he sent in contained 8 percent CBD. Another one said it contained 16 percent. The two others said it landed somewhere in the middle. Retailers say they’re constantly receiving pitches from people asking to put their products on shelves. Chris Burton, retail partner manager at online CBD store HelloMD, grills brands on where their hemp is grown, how the CBD is extracted, where their lab tests are and more. “Some say their CBD is the best possible and when you ask how they know they can’t answer questions,” Burton said. 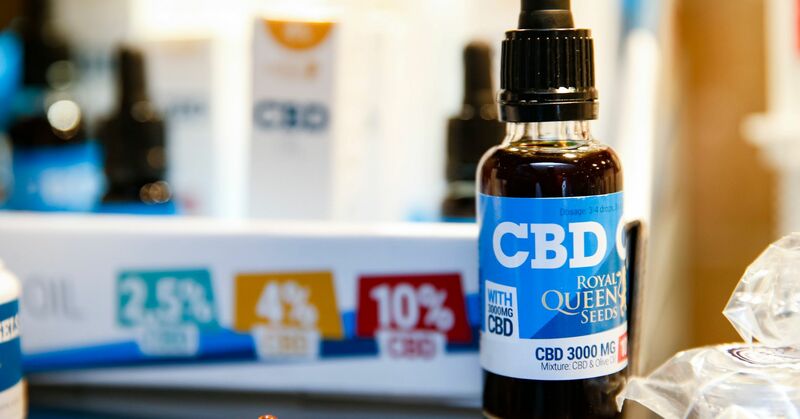 Consumers shopping for CBD will find a slew of terms: isolate, full spectrum, water soluble and more, with each claiming to be better than the other. Brands are trying to differentiate themselves and prove their products are legit, especially as they introduce people to an entirely new category. Burton says this “green rush” worries him that people seeing dollar signs are moving as fast they can to brings products to market. “It’s really just the wild west out there,” he said.